Rental cars provide relatively cheap and usually reliable short-term transportation for people visiting Philadelphia. But what happens after one is involved in an accident? In many ways, liability issues are the same for rental cars as for other motor vehicles. However, rental car accidents have many wrinkles that can confuse and intimidate the average driver, making it all the more vital that retain legal counsel. If you have been injured in a collision involving a rental car, you should meet with a Philadelphia personal injury attorney as soon as possible. Distracted driving. A driver might be sending or reading a text message, making a phone call, eating, or putting on makeup, which causes them to collide with another motorist or a pedestrian. Aggressive driving. A driver might speed, tailgate, illegally pass, or weave in and out of lanes. Aggressive driving causes many accidents on Pennsylvania roads. Impaired driving. A driver might operate a motor vehicle under the influence of drugs or alcohol, which can slow reflexes and impair judgment. Careless driving. A driver might forget to use a turn signal or look over their shoulder before backing up simply because they are careless. For any of these reasons, a motorist might crash into you, injuring both you and your vehicle. Fortunately, if the accident was the result of someone else’s negligence, you will likely be entitled to compensation under Pennsylvania law. 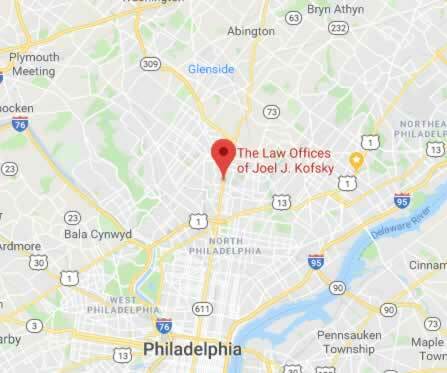 For this reason, anyone hurt in a rental car accident should speak to an experienced Philadelphia car accident lawyer as soon as possible. After an accident, a key issue to determine whether the person who rented the car has insurance. Rental car companies offer their clients supplemental rental insurance, but many drivers do not purchase it because they cannot imagine that they will be in an accident. Whether you were driving the rental car or struck by someone driving a rental, you need to identify what insurance is at play. If the rental driver purchased the supplemental insurance, then this policy should be available to pay compensation for injuries. However, these policies rarely cover the full extent of damages victims suffer in a crash. Credit cards. Some credit cards provide insurance for a rental car if you paid for the rental with the card. The insurance amounts tend to be on the lower end. Homeowners insurance. If the driver has a homeowner’s policy, then it might also cover an accident caused in a rental vehicle, but you need to check the policy. If you are injured and the driver does not have adequate insurance, then you might be able to tap your uninsured/underinsured motorist coverage, which can pay for medical care, lost wages, and pain and suffering. Check your policy for more information. Another reason why rental car accidents are often complicated is that driver are rental cars are often from out of state. In fact, some rental car drivers may not even live in the U.S. but might be visiting from a foreign country, which they will quickly return to. Few motorists have the experience or the skills to negotiate with a foreign insurance company. It can also be difficult to sue someone who is not currently in the United States. For these reasons, injured motorists need to hire an experienced Philadelphia rental car accident attorney who can obtain the necessary compensation. Unfortunately, the Graves Amendment prohibits you from holding the rental car company liable. Before the amendment, many states allowed injured motorists to sue rental car companies and hold them responsible since the company was the car owner. This theory was called “vicarious liability,” and it helped many innocent victims receive compensation. In 2005, however, Congress passed the Graves Amendment as part of a transportation bill, and this amendment did away with vicarious liability against car rental companies. You can still sue a rental company, but you will need to show that they did something wrong that would make them liable, such as inadequate feel maintenance leading to a car malfunctions and an accident. Get the other driver’s name, insurance information, and license plate number. Take pictures of any damage to the vehicles, if you can. You can use your smartphone or ask a bystander to take pictures. Call the police. An officer should come out and write up a police report. This document is essential to establishing when and where the accident occurred. Obtain the names of any witnesses. Also, write down their contact information so that your Philadelphia rental car accident attorney can contact them later. Notify the rental car company if you rented the vehicle. You should also receive immediate medical treatment for any injuries. If someone is badly hurt, you can call emergency services to come to the scene. By obtaining immediate treatment, you increase your chances of making a full recovery. When a person rents a car, his or her personal car insurance should cover the driver in case of an accident, yet rental car accidents seldom have an easy resolution. If you have been the victim of a rental car accident, you will probably need to contact a personal injury lawyer for help to sort out what needs to be done to compensate the victims justly. • The renter claimed to have car insurance, but did not have an active policy. This type of case needs to be handled like one that involves an uninsured driver. You will need a rental car accident lawyer to help with this. • Many renters are from other countries, visiting the U.S. as tourists for either a short or long period of time. They often have little knowledge of U.S. road laws, and they often do not understand their legal liability in an accident. There is also a great chance that they will return home before your case ever gets near resolution. As you can tell, this can turn into a very complicated case quite easily. Again, you will need a strong ally to pursue compensation in this type of case, unless you are well versed in international law. • Some states require that a renter have an international driving permit if s/he wants to rent a car and drive in the state. Many foreign tourists do not have such permits, and not all states have this provision. Canada, in particular, has objected to this type of law, and as a result many states have said they will not enforce it, to avoid offending Canadians who spend billions in their states while on extended vacations. This also complicates rental car accidents when a foreign tourist is the driver. Do you know how to pursue compensation from an insurance company in Latvia? Then you’d better hire a rental car accident attorney. • Homeowners’ insurance policies and certain credit cards used for transactions can also cover rental car incidents, but not all renters have homeowners’ insurance, obviously, and not all of them use the relevant credit cards. • The Graves Amendment, a federal law, shields rental companies from responsibility when a renter is in an accident, whether or not the renter purchased coverage through the rental company. This means that you will definitely need a personal injury lawyer to find other sources of compensation if the renter had no insurance; the rental car company is not liable! to find that it was completely inadequate to cover their medical costs and lost work wages. This is understandable, but regrettable. In many instances, you might feel fairly well a week after your accident, or you might believe that lingering pain or headaches will go away. However, many types of injuries get worse with time, from concussions to back sprains to spinal injuries, all of which are common in motor vehicle accidents. Then, you will unhappily discover that the settlement amount offered was only a fraction of what you needed. You might have high future medical costs, you might need further surgeries or rehabilitation, you might need to miss significant amounts of work time (and pay) to rehab or recover from surgery. You also are, in many cases, entitled to compensation for pain and suffering, something an insurance company will never figure into its settlement amount. Unless you are a medical professional gifted in self-analysis, you will need a competent personal injury lawyer to help you determine a fair amount for compensation, from whatever source you can pursue.That way, you won’t need to stress about getting better and figuring out how you will pay for it. Drivers in rental cars are involved in their fair share of accidents in the Philadelphia area. If you have been involved in one, you should hire an experienced attorney to help you get the compensation you deserve. 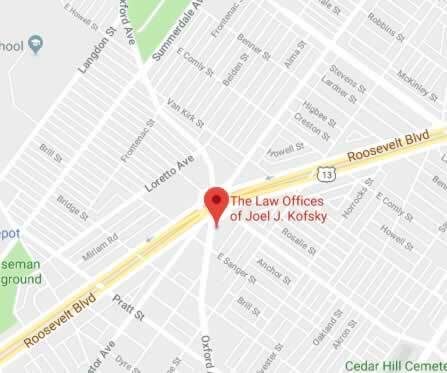 At The Law Offices of Joel J. Kofsky, we have tackled some of the most complex rental car accident cases in Philadelphia. We understand what steps to take to increase your chances of obtaining compensation from the driver who caused the accident and will work hard to bring your case to the most favorable resolution possible. To find out more about how we can help, please reach out to schedule your free, no-obligation initial consultation. You can call 215-735-4800 or submit an online message.